Assisted Living Care worth writing about! 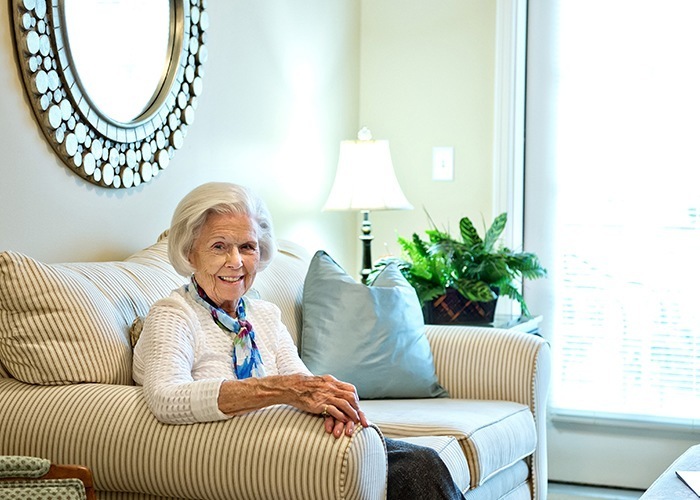 Read what residents and their families are saying about the lifestyle and peace of mind we provide in Marietta, GA.
Our mother has lived at Sterling Estates for nearly 3 years, and she is still so happy. The facility is beautiful, the staff couldn't be nicer and the food is really good! There are so many great people there.......residents and workers alike and the overall "vibe" is great. Thank you Sterling for making life so nice for our Mom. We are so lucky!!!!! We have been extremely happy with Sterling Estates East Cobb since my parents moved in during the fall of 2014. Their suite is spacious and lovely, and the whole facility is bright and inviting. The staff and caregivers are attentive, caring & helpful. We have also enjoyed the new friendships we have made with the other residents. I have been highly recommending Sterling Estates East Cobb to my friends. My mom has been living at Sterling Estates since September 2016. Although reluctant to leave her home of many years, safety and isolation issues required a move. My sister and I toured Sterling Estates East Cobb and knew this was the place for Mom! She loves her apartment-it's decorated with items from her home and is just the right size for her needs. She has met many friends and says she is very happy with her life now. My sister and I couldn't be more pleased with the care and assistance Mom receives. It's so great to know that Mom is happy and safe - such peace of mind! We moved our 98 year old grandmother in almost two years ago. We looked at EVERY Assisted Living and Personal Care home in the area. Interviews and tours for weeks. Sterling was the winner then and certainly now. The food is amazing and the choices would make any eater satisfied. The staff is so unbelievably friendly and caring. There is always an activity both on and off site and the campus and facility is amazing. The staff even got her into chair yoga, daily exercise and in a bathing suit in the pool multiple times. One of the distinguishing things is that the owners are there quite often and know all the residents by name and most of the families. Unlike places that are run by big corporations, these guys care so much. Their residents are treated like their own family. The Directors and Management are the same and when there have been issues (including missing laundry, extra coffee, or really anything) they handle it professionally and quickly. The Director is often seen most breakfasts walking from table to table with the coffee pot, refilling and topping off and talking to every person. That energy and compassion starts at the top and filters down to every person there. My mother recently moved into Sterling Estates of East Cobb and we have been VERY impressed! The staff is very kind and helpful, the food is delicious and plentiful and their Activities Director Lisa is amazing! She comes up with so many fun things to offer the residents to do-and a great choice of options! Management is wonderful to work with and the Director of Care does an outstanding job both with the companions and the residents. She is very caring and compassionate and has really made my mom feel at home as have the companions. Sterling has THE BEST Wellness facility around! A heated salt-water pool, fun classes for all levels and a trainer to work with the residents. My mom is 91 and is really excited about the therapy she is getting in the Wellness center and can't wait to get in the pool! The best endorsement for Sterling Estates was that when we were taking the tour, residents kept coming up to us telling my mom how much they enjoyed living there and hoped she would move in. My mom asked me to sign her up and I'm so happy we did! Thanks Sterling-nicely done! Sterling Estates is an environment that provides activities to keep people involved both mentally and physically. Here you find yourself connected to a community of people who will care for one another and share concerns with those around them. I have found that the staff is friendly and very well trained. They provide for the needs of people regarding dietary, mobility, strength and enthusiasm. Here we see that Independent and Assisted Living are to be valued and enjoyed, not feared. We live side by side and appreciate each other just as we would our brothers and sisters. This is a community of people living together as a family. How do I know this? I LIVE HERE! Sterling Estates has been a Godsend. My mom who is 91 fell in January and broke her hip. After surgery and rehab, mom was not able to return home. I looked at all of the senior facilities in East Cobb and new immediately Sterling Estates was the right fit. 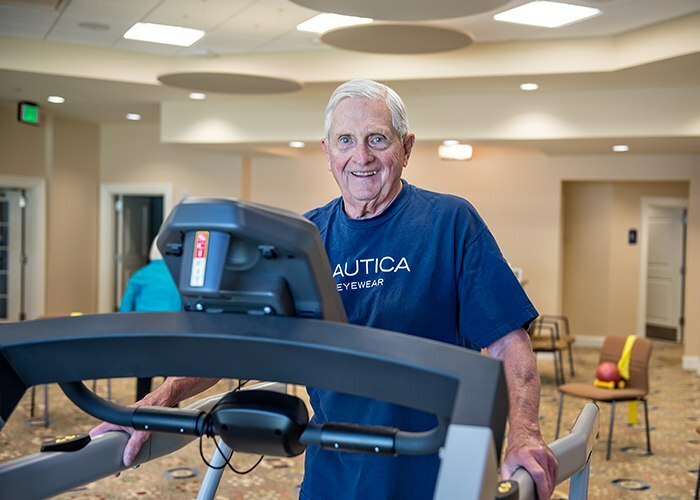 Other facilities had no formal exercise room nor heated swimming pool much less a dedicated staff member who CARES about every resident’s health and encourages them to exercise. My mom hadn’t been in a swimsuit since she was 20 years old. Now she’s in the pool twice a week and getting stronger from week to week. 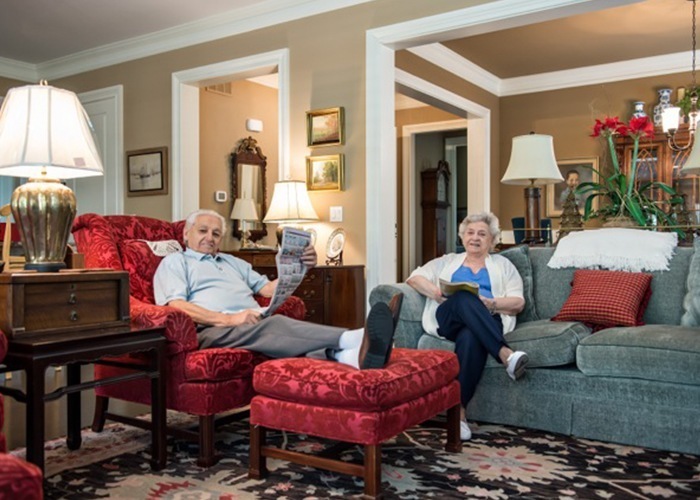 From the kitchen staff who always prepare delicious food and offer variety to their menu to the nursing staff and care givers to the management team and owners, Sterling Estates offers the best senior care in East Cobb. Mom is in a safe loving environment with lots of good friends. They have become her second family! Thank you, Sterling Estates for the peace of mind you have given me. I came to Sterling Estates with the hope of reestablishing an independent lifestyle. When I arrived I could not walk for more than five minutes. Suffering from a heart condition had greatly limited what I could do. I truly felt trapped. I wanted to feel better. I wanted to be the person I once was. I met with the Sterling Estate staff and a wellness plan was custom made for me. It included exercise and diet. I began personal training with gentle resistance three days a week, as well as, closely monitored water therapy two days a week. I set what seemed like a lofty goal of running up the large hill on the front of the property. I am proud to say on August 1, 2013, less than a year later, I ran up that hill! Sterling Estates has more than changed my life. I have reached goals I never thought possible. My husband and I were now in our 80s. We were starting to see signs that our bodies and minds were getting up in years. Mat fell out of bed, thankfully not damaging his pacemaker. I also had a fall. It was becoming apparent that we needed more help to get by. I visited a local Assisted Living facility and was very depressed by what I saw. People sat staring out the window and the place smelled very bad. This was not the dream I had for my, “golden years.” Fortunately, I had an office visit with a physical therapist and she told me about a new senior residence which was under construction in Marietta. I was curious enough to go and take a look. Even though the property was just being developed, a strong feeling came over me that, “this is it.” I had not had such a feeling since decades earlier when I had the urge to open my own sandwich shop. The idea of a place dedicated to wellness was just what I wanted to see. Having a heated indoor swimming pool, plus healthy meals, in a beautiful environment, were my hopes for a better future. I met Sharon and Marshall at Sterling Estates and was very pleased with their friendliness and courtesy. I knew that the biggest challenge I faced was to get my husband convinced it was time for us to move. Since he liked the buffalo burgers at Ted’s Montana Grill, I suggested that we go for a ride. While we were there, I casually suggested that, “just for fun,” we go take a look at a new retirement place down the street. He was equally impressed. I told him that I was concerned if we could afford something that nice. He told me that since we had been paying into a long-term disability fund for many years, we could. We decided that the least we could do was give it a short-term trial and see if it was a good fit. We moved in August of 2012. It was wonderful to be in a community of caring people who showed deep personal concern for all of our needs. This became especially important as my husband’s health deteriorated. We do not know how we would have managed without a team of experts to help us through the difficult time of concluding his life. I am so blessed today to enjoy the luxury and comfort of pristine surroundings, including a flower-filled courtyard, complete with a fountain and rubber ducks! Additionally, after many years of hoping and wishing, I have finally found a close personal friend with whom I can share activities. 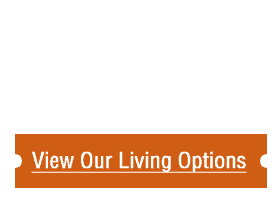 Our only regret about Sterling Estates is that we could not have moved here sooner. Since we were some of the first residents to arrive, we have had the benefit of enjoying this wonderful place as much as possible. 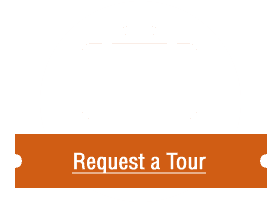 We visited a large number of communities before deciding to place my dad at Sterling Estates. The people and the facility are far above anything else in the East Cobb area. From our first visit, the staff their demonstrated that they valued my dad – and all of us – as members of a community that they are serious about making a welcoming, safe place. My mom moved to sterling estates 2 years ago. From the moment she moved in there my sisters and I knew this was an excellent home for Mom. The staff is professional, the place is beautiful. Everyone is treated like family. Seniors have as much independence as want with the opportunity for assistance at a moment's notice. My sisters and I have great peace of mind knowing mom is living at sterling! Having lived in East Cobb for 36 years, and as a Realtor, it is great to have this superb community available to offer to older clients. Many like the idea of downsizing and yet, want to be able to have full service amenities and an active lifestyle. Sterling Estates provides the perfect option for older Parents for example, who want to live close to their grown children yet have their own “home”. This family-friendly neighborhood, encourages wellness and exercise and being as active as you are able to be. I have a former client who lives there now and she just loves it. Her circle of friends there and support system made her feel welcome immediately. I have eaten there a number of times and tableside service with delicious choices, always provided. 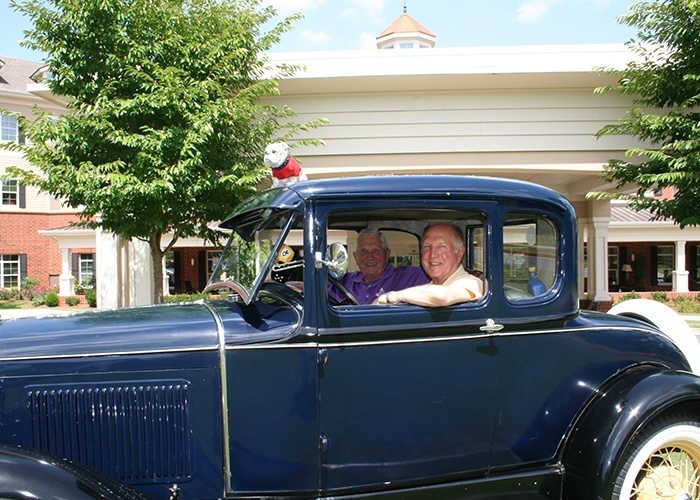 We are lucky to have this Senior Living community here in East Cobb. My wife and I have been residents of Sterling Estates for about two years. 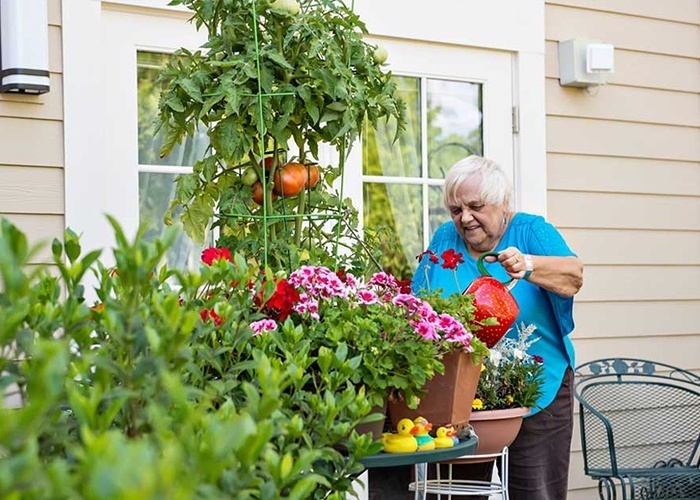 We live in one of their new and well maintained cottages which is like living in your old home, with plenty of space, security, and all the conveniences that go with an outstanding senior living facility. However, we go down to the main building for mind games, swimming, and exercise classes. We eat lunch and dinner, which is healthy and variable, most week days in the main building. On Friday, Saturday, and Sunday, we eat out or cook in. To go out is very easy, since there are many and various eating establishments as well as stores in the immediate area. The staff is outstanding, courteous, helpful and caring of the needs of all those residing at Sterling. I would like to inform one and all that you don’t have to be in your nineties or feeble to take advantage of all the pluses that Sterling has to offer. Remember you are not getting any younger!!!! My husband and I moved to Sterling Estates over two years ago when they were partially completed. With uniquely designed floor plans and a vast array of amenities we decided a cottage suited our needs the best. We are both involved in water aerobics twice a week, weekly lunch outings, games, crafts, happy hour, and just a few mentioned- we stay busy! We select our daily menus which include: healthy choices, creative food, homemade soups and desserts with all meals. Location also influenced our move as we had lived in Cobb County for over 30 years. Best decision we could make in our “Golden Years” at Sterling Estates. After the death of my husband and a series of accidents my three sons and I looked for a place in Georgia for me that would help me recover. 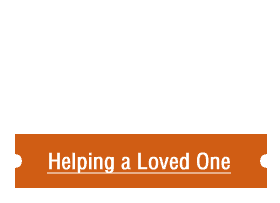 Sterling Estates was our choice, and I was on my way to recovery. The wellness program is the place for me. I always enjoyed exercise and competed in many sports. I am doing well and making progress everyday with the help of an excellent staff. The care team and the staff has become family to me. This is a wonderful place, and I smile each day because I am here. Very impressed with the Wellness Center at Sterling Estates. 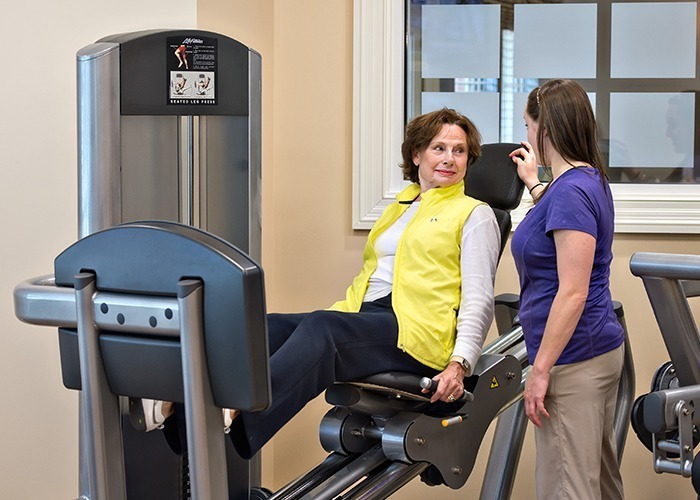 They get residents out of their rooms and get them moving either in the workout room or in the therapeutic pool. Lots of energy and a happy atmosphere at Sterling Estates. My mother is an original member of the Sterling Community. When we moved her here from out of state we were relieved to find a superb Senior Living Community close to our home. 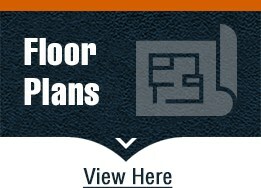 All facilities are first rate and the staff is caring and attentive. Dining, recreational and wellness activities, coupled with the establishment of good friends has made her experience and ours very positive. In particular, a heated pool, well equipped fitness center, physical therapy and massages have been critical to combat physical and mobility declines. These were real differentiators over other facilities we considered. The staff is very nice at Sterling Estates. A lady, I think named Sharon, is the director and is very good. I had lunch there. My daughter also lives right near there, which is a good thing. It’s all nice, and the facilities are good. They had swimming pool and activities like dancing and movies. It’s new, it’s fresh, it’s good as new, and its good looking. Unfortunately, my stay at Sterling was only a temporary one. I was there until I could sell my previous home and purchase a new one. I was welcomed, literally, with open arms from the owners, management, and all staff. It is a perfectly beautiful and safe place, which has the feeling of one big family. Everyone goes above and beyond when accommodating residents there. I was one of the independents, but saw first-hand the loving care and attention shown to assisted living residents as well. The companions do a wonderful job in all areas and are utmost professionals. I simply cannot speak highly enough of Sterling Estates, and would recommend it to anyone in need of a facility of this nature.